Irish people, rejoice! It turns out, your green land is the “goodest” country in the world. That’s right. 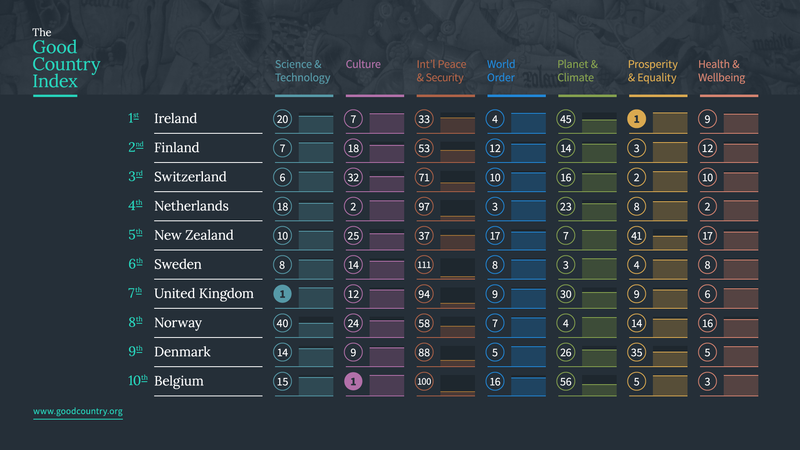 The “goodest.” At least, that’s according to Simon Anholt, who’s spent the past two years compiling an index to determine which of 125 countries contributes the most to the common, global good.